To the beat of drums, more than 300 people dressed as devils descend a sacred hill as one of the most singular Carnival events in South America begins. Members of the dance troupe created the costumes for nine days of performances that this year began Saturday. 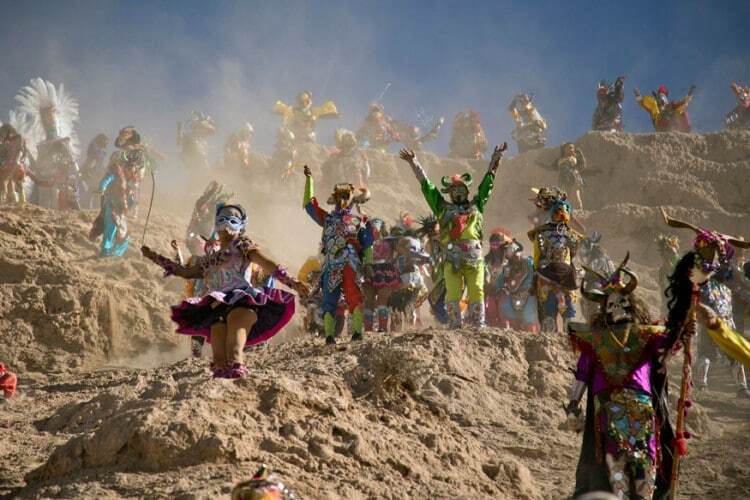 The annual Carnival in Uquia, in Jujuy province about 930 miles (1,500 kilometers) northeast of the capital of Buenos Aires, is among Argentina's most popular festivals. More than 15,000 visitors have arrived at this community of some 1,000 inhabitants for the festivities blending Roman Catholicism with the region's ancient indigenous traditions. 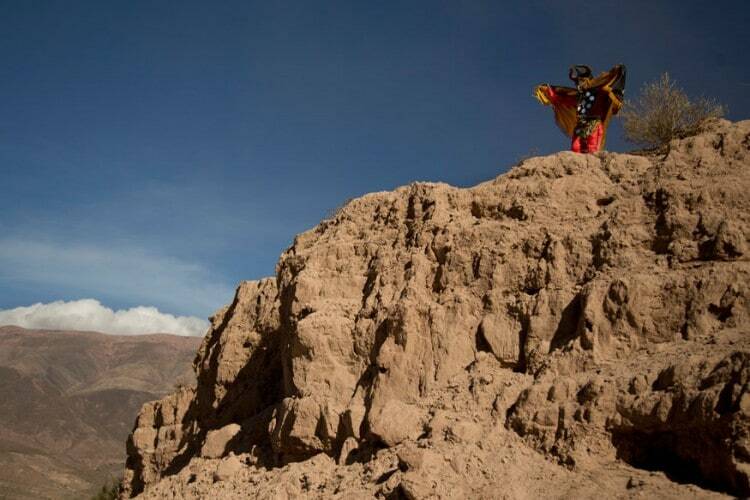 The dancers climb the hill with bags containing their costumes, then out of sight transform themselves into devils and give thanks to God and Mother Nature for the year's harvests. They then emerge in costumes of bright colors, decorated with sequins, mirrors and bells. They wear horns of wood, plastic, or cardboard or even the real horns of bull or sheep.